This picture shows all the toys I currently have for sale. Hopefully it will help you to get some sense of the scale of them. Pesky Pets are art toys, and are meant for display rather than for play. 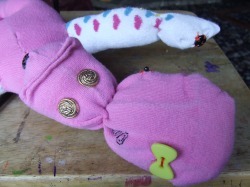 Each Pesky Pet is unique, hand-sewn, and created from recycled and found objects. They are safe for children over 3 years old only. Phineas is an old cat. 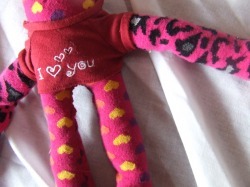 He measures about 12 inches tall, and has a removable monocle. Filled with rice so she stands up straight at 12 inches tall. 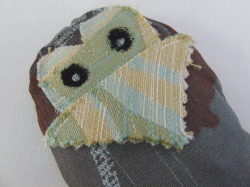 Entirely handsewn over days. 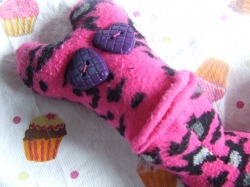 Pink leopard sock, heart shaped buttons. 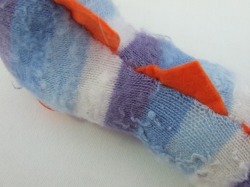 Made from brand new stripy neon sock, buttons, and felt. Vintage velvet, felt, buttons and wool. About 7 inches tall. 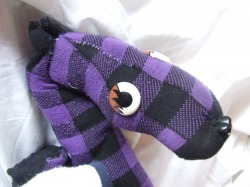 Made from socks, and child-safe eyes and nose. Measures approx 14 inches. 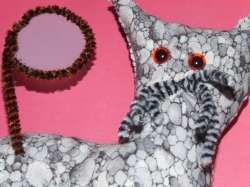 Made from socks, feathers, flowers, toy eyes and buttons. Measures approx 12 inches tall. 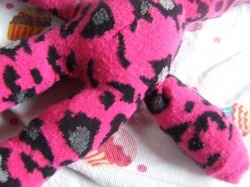 Made from toe socks and felt. 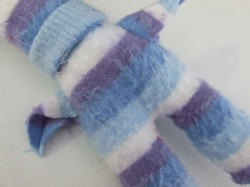 Measures approx 10 inches tall. 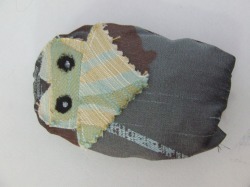 Small owl toy, approx 3 inches tall, made from curtain samples. Sits inside a tree 'pocket'. 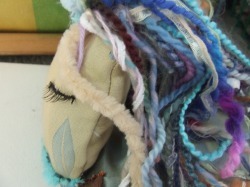 Ragdoll made from curtain samples, wool and false eyelash. Measures approx 12 inches tall.